Golf lovers, we’ve got a place you’re gonna love. 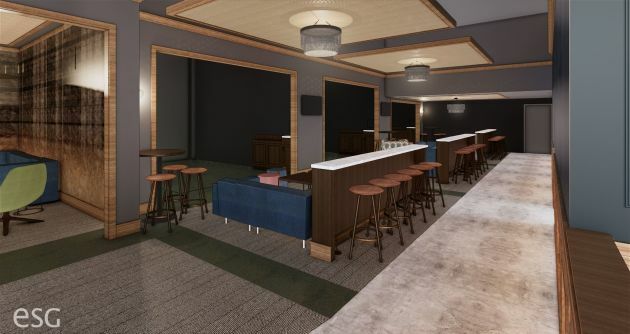 A new restaurant will be opening later this summer that will feature six state-of-the-art indoor golf simulators… and some food and drinks of course. Thr3 Jack (pronounced like Three Jack) will be opening on the ground floor of The Nordic located at 729 Washington Avenue N in the North Loop. The space that they will call home will span just over 9,000 square feet and will be located towards the middle of the site in portion of the project that also has a parking ramp on the upper floors. The restaurant will have 200 seats indoors and another 50 seats on an outdoor patio that will face the new “park” like environment that United Properties is creating between The Nordic and the Loose-Wiles building. Lucy Robb and her brother Bo Massopust are the creative minds behind Thr3 Jack. The name for the restaurant comes from when a golfer has to take three putts into order to sink the ball into the green’s hole. The decision to locate within the North Loop was a no brainer for the duo as they feel that the neighborhood is where most of their target audience likes to spend their time. While they don’t have a chef, yet they’ve recruited Nathan Rostance (previously with The Bachelor Farmer) to get the place up and running along with recruit a full-time chef to take over. Jesse Held of Jester Concepts (they’re the ones behind Borough, Parlour, Monello, Constantine, Mercado and P.S. Steak) will create the bar program that’ll focus on country club classics that have a twist and also no-proof cocktails (alcohol free). Construction is already underway on the space that was designed by Minneapolis-based ESG Architects. The interior will sport a classic look with large uses of wood and will feature a long bar running parallel to the golf simulators. Thr3 Jack is anticipated to open in August at 729 Washington Avenue N.